This beautiful bridal ring features a stunning round cut purple Ameythst accompanied by near colorless diamonds. 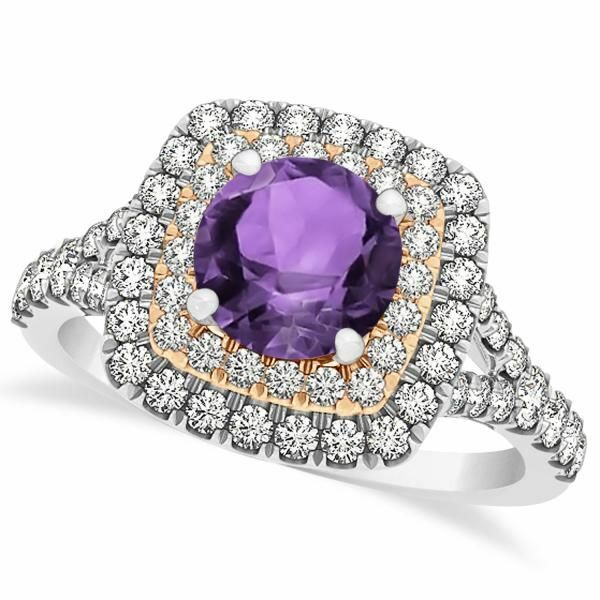 There are a total of 1.38ct on this classic color gemstone engagement ring from Allurez. The gemstones and diamonds sit on a 14k Two-Tone Gold (White Gold and Pink Gold) band. 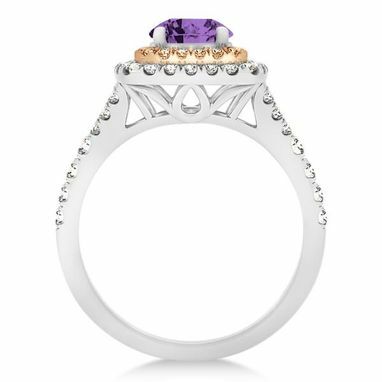 It features a cathedral style arch and is available with a matching band.